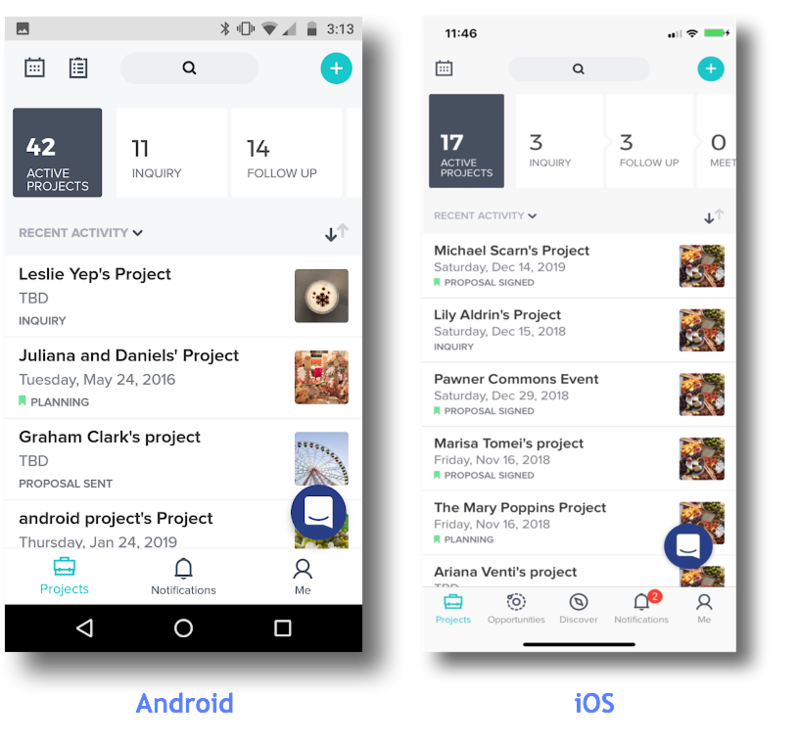 The HoneyBook Pipeline offers a bird's eye view of where all your Projects currently stand, and your full Pipeline is also available via your iOS or Android app. Your HoneyBook Projects will automatically move stages when certain actions are taken by you or your client, but you can also manually move a Project’s stage. When you first open the iOS or Android app, it will take you right to your Project Pipeline. PLEASE NOTE: You can scroll through additional stages by tapping and dragging the Pipeline to the left.